At Vistaprint you can find excellent low prices on company stationery, marketing products, customised clothing and much more. Easily create customised business cards, flyers, signs and banners, promotional mugs, USB drives and more. The Vistaprint online software makes it so simple. Vistaprint Up to 25% off Custom Apparel + Low Delivery. Vistaprint Up to 25% off Labels And Stickers + Low Delivery. Vistaprint Up to 25% off Photo Gifts. Low flat rate delivery. Vistaprint Banners from $10. Delivery costs apply. Vistaprint Custom Mugs from $9.00. Delivery Costs Apply. Vistaprint Unique invitation designs for every occasion from only $6.99. Vistaprint Save on Banners and Signs. Low flat rate delivery. 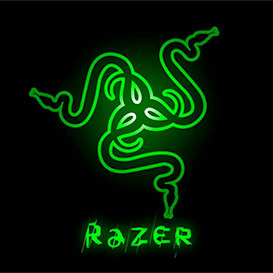 Razer Zone Save 40% Off Traditional Retail Plus Free International Shipping! Vistaprint is the leading print store in Australia, offering top quality printed products at very affordable prices. They can print pretty much anything including all your business needs - business cards, flyers, address stamps and general office stationary; personalised products like stickers, bags and t-shirts; promotional products like coffee mugs, pens, magnets, iPhone cases and stubby coolers. Yup! Pretty much anything you can think of! Each item has a catalogue of designs ready for you to edit information – or for the professional, you can download the exact specifications. The company have also entered the digital marketing landscape with offering website design and hosting, social media and database marketing solutions. Despite having hundreds of products and literally thousands of designs, the site is really easy to use. You can navigate through their extensive range easily and even design your new printed products on your iPhone. They have exceptional customer service If you have any questions along the way, they have a great help section, live chat or you can pick up the phone and give them a call. You can choose your method of delivery from super speedy express to Standard – which is available Australia wide at a flat rate of $7.99 to most parts of Australia. Payment can be made via credit card or Paypal. They have a 100% satisfaction guarantee, so if you aren’t completely happy they will reprint your product and send it to you free of charge or refund your money. Vistaprint really can’t be beaten for price and speedy service. Microsoft Store AU Xbox 360 price drops – save up to $100!